Ammon Products is proud to announce that we’ve added a new addition to our existing connection sleeve product line. Adding the Column Bolt Round Sleeve increases the number of products available in our column and spandrel connection sleeve range to five. The connection sleeves create a cavity in precast concrete allowing a bolted connection between columns and spandrels. Although the standard column bolt sleeve’s standard length is 26″, as with all of our products, custom lengths are available. What differentiates the new column bolt round sleeve from the existing column sleeve is the shape. While the original model featured an oval construction, the new model is completely circular. 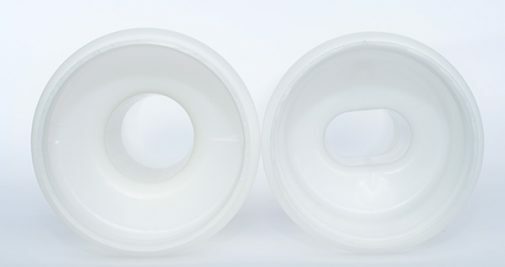 Manufactured in the United States, the connection sleeves are made of high density polyethylene (H.D.P.E.). All of our column and spandrel sleeves also have a corresponding caps available. All of our column and spandrel sleeves also have a corresponding caps available.